I first became a vegetarian during my college years. 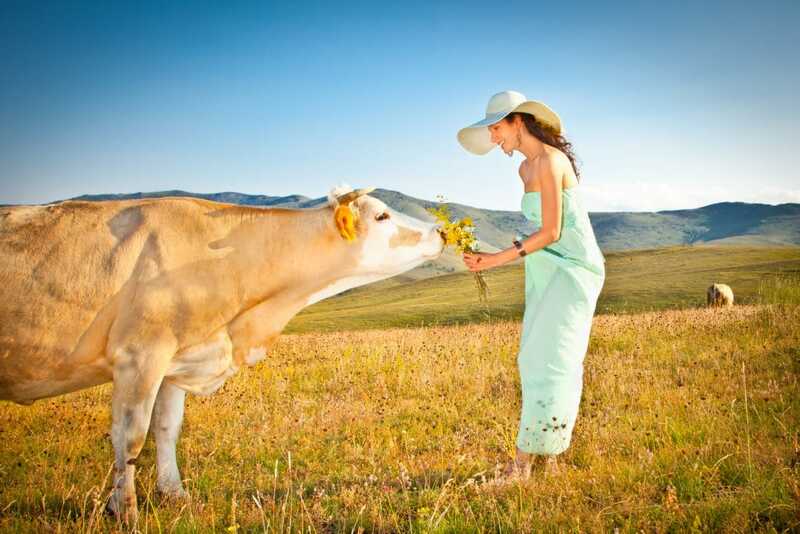 Personally, I gave up meat for ethical reasons – mostly because I thought factory farms were inhumane. The meat served in our dining hall wasn’t that good anyway, so giving it up was no big deal. Between salad, pasta, and vegetarian dishes, I had no problem finding other things to eat. But pretty soon, to be consistent, I decided to give up leather too. After all, animal hides come from factory farms, so if I wore leather shoes or belts, I was still supporting those same farms. And that’s where things started to get tricky. I discovered that it’s really hard to find shoes that aren’t made of leather – especially if you have odd-sized feet like I do. It’s possible to buy eco-friendly clothes on a budget, but prices are often high, and sizes can be limited. Plus, they mostly sell by mail-order, which makes it hard to find the right fit for your feet. Over the years I figured out where to shop for leather-free shoes and other accessories. I learned which stores usually have animal-free products, how much they cost, and what varieties they carry. Here is a summation of everything that I’ve learned – a shopping guide for herbivores on a budget. There are several stores online that deal only in animal-free goods. Unfortunately, some of these vegan retailers are too pricey for shoppers on a budget. Others aren’t worth shopping at because their selection is too limited. However, there are a few vegan stores that offer a good range of both styles and prices. It takes a little work, but there are good deals to be found. Here are the best vegan stores for major shopping categories such as shoes, clothing, and accessories. Most shoe stores are not 100% vegan, but typically they carry at least a few leather-free options. Non-leather shoes can be made of fabric, rubber, and all kinds of synthetic materials. Leather-free shoes come in a vast range of styles, from velvet dress flats to rubber rain boots to rope sandals. When you’re shoe shopping in a store, you can check the label on each pair to see what it’s made of. Words like “leather,” “suede,” or “nubuck” signal that the shoe contains animal hide. On the other hand, words like “synthetic,” “manmade,” or “pleather” (plastic leather) indicate that it’s animal-free. The label is usually inside the tongue of the shoe, but it can be stitched into the lining of the side or back. One place to look for leather-free shoes at budget prices is at low-end department stores, such as JC Penney, Sears, or Target. Stores like this usually have many non-leather styles in their shoe departments. However, you have to check the labels to sort out the leather shoes from the leather-free ones, which can be time-consuming. Shopping on the Web makes searching for non-leather shoes easier. Many stores sell shoes online, and many brick-and-mortar stores have a searchable website. The downside of shopping online is that you can’t try shoes on before you buy them. So if you buy online, look for stores that offer free shipping for both orders and returns. That way, if your shoes don’t fit, you can return them at no cost. Better still, you can find shoes you like through the Internet, then go to a store to try them on. Blowfish Shoes. This vegan shoe store carries women’s boots, flats, heels, sandals, and sneakers in casual, funky styles. Prices typically range from $40 to $60. Most of the store’s shoes come in whole sizes only, ranging from size 6 to 12. I’ve personally tried these shoes and ended up sending them back because they just didn’t have enough arch support. However, if your feet are less picky than mine, you can find some cute styles here. Moo Shoes. This vegan store offers a wide selection of footwear for both women and men. You can find boots, flats, heels, sandals, sneakers, and rugged outdoor shoes. Sizing is variable. Some of the shoes are sold in US sizes and others in European sizes. Most come in only one width. Most shoes here are priced over $100 a pair, but you can also find some on sale for as little as $20. However, these cheap styles usually come in only a few sizes – and there’s no way to search by size, making it hard to find the right pair. Moo Shoes also offers leather-free purses, wallets, briefcases, and belts. Okabashi. This unique store sells sandals and clogs made in the USA from recyclable, vegan materials. Most of the styles on the site cost $20 or less. Men’s shoes come in sizes up to 13, but only in standard width. Women’s shoes come in sizes 5 to 10.5, and some are available in narrow width. Chadwicks. This mail-order store for women carries a variety of leather-free shoes, both casual and dressy. You can find boots, sandals, flats, heels, and sneakers made without leather. Some shoes cost as little as at $25. Sale-priced items can be less than $10. The downside is that there’s no quick way to search the site for leather-free shoes. Instead, you have to click on the pairs that interest you to read their full description. DSW. This shoe superstore carries shoes for men, women, and children, in a wide variety of styles and sizes. Prices vary, but there’s a good selection of styles priced at $50 or less. However, you can’t always tell at a glance which shoes are leather-free. The best you can do is check the listings, or the actual shoes in the store, one at a time. Footwear, etc. This online retailer has pages devoted specifically to vegan shoes for men and women. Most of these are casual styles, with prices starting at $30. The site carries shoes for kids as well, but there’s no vegan-only page for them. Footwear, etc. offers free shipping and free returns on all orders. L.L. Bean. L.L. Bean specializes in casual and outdoorsy clothing, including shoes. 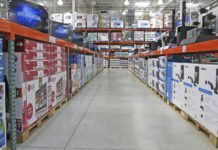 It has several stores and outlets in the northeastern U.S. and also sells online. Most of the shoes it offers are leather, but there are some styles in canvas and synthetic materials for men, women, and children. However, there’s no easy way to filter for these on the website, so you have to check the listings one by one. The selection of sizes varies. There are a few sizes available in wide widths, but others come only in standard width and whole sizes. Prices range from $30 for a simple pair of flip-flops to $200 for sturdy hunting boots. Payless. This discount shoe warehouse has tons of leather-free options at low prices for men, women, and children. You can find non-leather shoes in just about every style, and many come in special sizes and widths. The store carries some leather shoes too, but those typically have “leather” marked prominently on the box, so they’re easy to avoid. Nearly all shoes cost under $60, and many are below $30. Just don’t expect high-quality at these bargain-basement prices. REI. This retailer specializes in outdoor clothing and gear. REI carries a selection of leather-free shoes, boots, and sandals for men, women, and kids. Prices for adults range from $25 for a basic flip-flop to over $200 for mountaineering boots. There are also many sale items here for $30 or less. You can find leather-free shoes on the website by selecting a type of shoe and clicking on “vegan” in the “features” menu at the left of the page. Zappos. This is the biggest shoe store online, with shoes for men, women, and kids in every size and style. Zappos has many non-leather options, and the site makes them easy to find. Just select the type of shoe you want, then scroll down to “features” in the sidebar and select “vegan.” If you can’t find this option, click “materials” instead and choose the non-leather options. Zappos offers free shipping both ways on all orders. Birkenstock. This iconic sandal comes in leather-free versions for adults and kids. Some models combine the classic cork footbed with a microfiber upper. These vegan Birks are pretty pricey – around $100 a pair. However, you can also get sandals made of solid EVA plastic in a variety of colors for as little as $30. Converse. This classic canvas sneaker is available in men’s, women’s, and children’s sizes. Prices for the men’s version start at $50, or around $30 on sale. Crocs. The classic Crocs clog is made of molded synthetic material and costs around $35. It’s sold in a wide range of colors and sizes for men, women, and kids. However, most Crocs are only available in whole sizes. Crocs also makes a variety of other leather-free shoes, including canvas slip-ons, sandals, and winter boots. Keds. Keds makes simple canvas sneakers, boots, and slip-ons for women and children. Prices for women’s Keds start at $45, but they can cost as little as $15 on sale. Keds also makes some leather shoes, but they’re clearly labeled as such, so it’s easy to tell them apart from the canvas ones. New Balance. This company makes a wide variety of athletic shoes for men, women, and kids. Many of its styles are leather-free, and a few of them are made in the USA. However, there’s no easy way to sort out the leather shoes from the non-leather ones on its website. New Balance shoes come in a relatively wide range of sizes and widths for men and women. Prices for adult shoes start at around $50. Puma. Puma is another brand of athletic shoes for men, women, and children. The company makes shoes for running, training, golf, soccer, and even motorsports. Some of its styles are leather, but you can get many in synthetic materials, including soccer cleats. Regular prices for most Puma shoes start around $60, but there are a few styles priced as low as $20. Skechers. This company makes a variety of casual, athletic, and dressy shoes for men, women, and kids. Many of its shoes are leather-free. A search for “vegan” on the Skechers site turns up hundreds of styles, ranging from an $18 kids sandal to a $170 mens’ boot. Skechers also offers several styles in wide widths. Orders from its website ship free both ways. Teva. Teva is best known for its sporty sandals for men and women. Prices start at around $50, and many models are vegan. Teva also makes a few styles of canvas shoes and boots, but these cost more. Toms. This company is best known for making simple, slip-on shoes for women. However, Toms also offers styles for men and kids. Most of its shoes are canvas but have a leather lining. However, there’s a whole page on the site devoted to 100% vegan styles. Regular prices for adult shoes are typically around $55 to $60, and sale prices are often below $50. The site offers free shipping for orders over $60, as well as free returns. This company is also known for its charitable giving. For every pair of shoes you buy, Toms donates a pair to people in need around the world. Some types of leather-free shoes are harder to find than others. If you’re looking for a specific type of shoe, here are some good places to look. Athletic Shoes. Converse, Keds, New Balance, and Puma all offer leather-free styles. You can check their websites to find stores that carry these brands. Payless also carries athletic shoes for men, women, and children. Kids sneakers often feature popular cartoon characters. Dance Shoes. Capezio carries some tap shoes in synthetic materials. The best way to find these leather-free models is to look for the least expensive shoes on the site. Capezio also makes canvas ballet slippers, but they have suede patches on the sole. For a genuinely leather-free ballet shoe, try Cynthia King Dance Studio. Dress Shoes. Most shoe stores carry at least some leather-free dress shoes for women. Non-leather dress shoes for men and kids are a little harder to find at a reasonable price. Payless is a good place to try, especially if the shoes won’t see heavy use. Hiking Boots. With or without leather, hiking boots are expensive. However, it’s possible to find leather-free ones for men at Payless for only $50 or so. For women, the best bet could be Pangea, which has one pair for a little over $100 – not too bad for this type of footwear. Winter Boots. Several brands make non-leather boots for winter weather. Totes, for instance, has several styles under $60 for men, women, and girls. You can usually find this brand at low-end department stores, as well as at Payless. I’ve found Totes boots to be fairly warm, but not that durable. Propet boots are a bit pricier, but they’re both warm and sturdy, and they come in a huge range of sizes. You can buy them at Zappos or search the Propet website for a store near you that carries them. Just be sure to check the label, since not all Propet boots are leather-free. Work Boots. For men, Payless is a good choice once again, with several styles of sturdy, leather-free boots at $50 or less. You can also try searching Zappos and other online stores to find non-leather boots suitable for outdoor work. Finding a good pair of non-leather shoes is a good start, but it isn’t always enough to make your outfit vegan. Accessories, such as purses, wallets, and belts, are often made of leather as well. Fortunately, there are also lots of non-leather alternatives. For instance, most department stores carry bags made of non-leather materials, such as fabric or pleather. 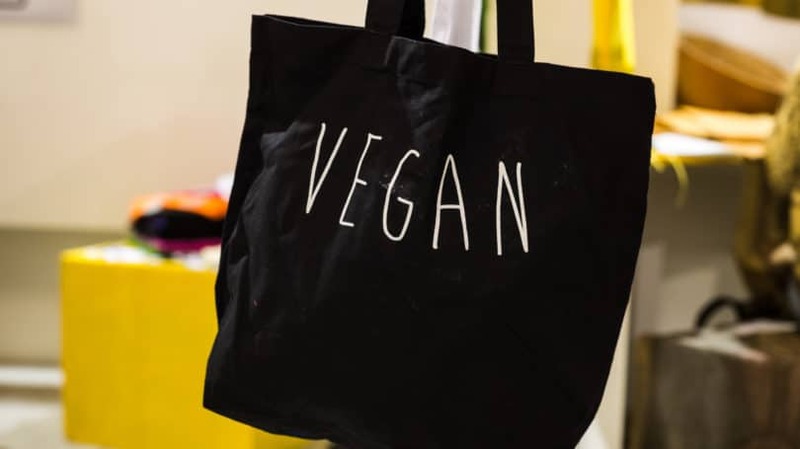 You can also find leather-free purses at vegan sites such as Moo Shoes, but they’re kind of expensive. If you’re on a tight budget, you’re probably better off going to Target or Marshall’s and checking labels to see which bags on the rack don’t have leather. Stores like these also offer leather-free wallets and belts. At Target, you can buy faux-leather men’s belts for as little as $10 and nylon wallets for $18. However, if you want a vegan wallet with the look of leather, you might need to seek it out online. The Vegan Collection is an excellent resource, with pleather wallets between $12 and $24. Many vegetarians are willing to wear leather, but they draw the line at fur. They consider it worse to kill animals solely for their skins than to use the skins of animals that have already died to make meat. Also, fur is a lot easier to avoid. Leather is still the most common material for shoes, but fur coats are pretty rare. However, fur isn’t the only animal product used to make winter coats. Many coats and jackets are stuffed with down – the soft layer of feathers that sits next to a bird’s skin. Ducks and geese are either killed for their down or, worse still, plucked while they’re still alive. Wool is another material vegetarians are split over. Some think it’s okay because shearing sheep doesn’t kill them or even hurt them very much. But People for the Ethical Treatment of Animals (PETA) argues that wool is still cruel because most sheep are raised in inhumane conditions. Also, PETA claims, the shearers are often too rough with the sheep. Fortunately, there are plenty of other ways to keep warm in the winter. For instance, coats and jackets can be stuffed with synthetic fibers, such as Thinsulate and PrimaLoft, which are just as warm as down. In fact, in some ways, these fibers are better than real down. They’re cheaper and less bulky, and they don’t lose their warmth when they get wet. Most sellers of outdoor gear, such as L.L. Bean and REI, offer coats made with these high-tech fibers. However, many of them sell genuine down coats as well. To make sure your winter jacket is down-free, look for terms like “synthetic” or “manmade” on the label. When shopping online, you can filter results for “synthetic” to find animal-free coats. If you like the look of fur, but you don’t want to wear animal skins, look for cruelty-free “faux” furs. You can find faux furs at many department stores, often for less than $200. Many stores also carry faux leather coats and jackets for $100 or less. Vegetarians who like to travel need high-quality, leather-free luggage. These days, luckily, non-leather suitcases and briefcases aren’t too hard to find. Leather is relatively heavy, so top-notch luggage brands like TravelPro make most of their cases from lighter nylon or polyester fabric to keep the weight down. Eddie Bauer. This company sells sporty clothing and gear, both in stores and online. Its offerings include duffels, rolling luggage, and sturdy backpacks suitable for hiking, with prices ranging from $30 to $250. Sale-priced items start as low as $15. L.L. Bean. The outdoor retailer has a line of highly rated, lightweight “Adventure duffels” priced from $40 to $120. It also has rolling carry-ons and fabric messenger bags between $70 and $100. Tom Bihn. Nearly every item made by this luggage brand is leather-free. Prices range from $35 for a simple messenger bag to over $300 for an elaborate suitcase. Tom Bihn also offers laptop bags and briefcases starting at $65. Tough Traveler. Tough Traveler carries a huge assortment of bags, including backpacks, duffels, briefcases, and computer bags. Prices vary widely, but many smaller bags are less than $100. Most Tough Traveler bags are vegan, but to be sure, you should specify no leather in the comments when you place your order. One of the biggest challenges for vegetarians is finding leather-free gear for particular sports and hobbies. Several types of sports equipment, such as baseball gloves, are nearly always made of leather. 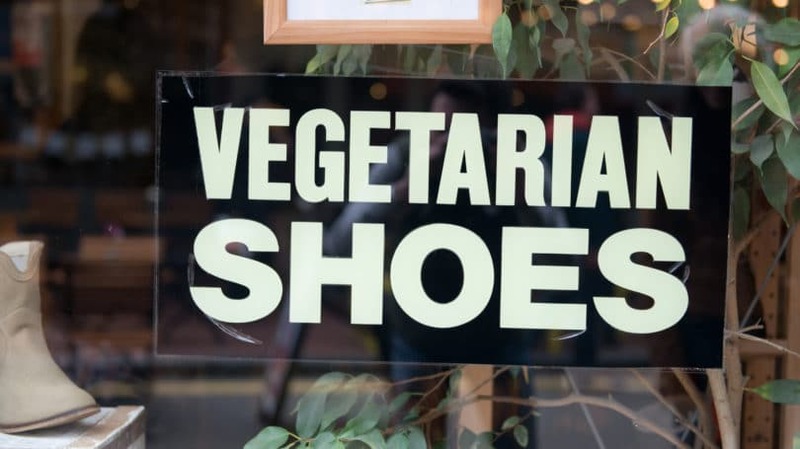 PETA and the Vegetarian Resource Group (VRG) have tracked down some non-leather alternatives, but be warned – they don’t always come cheap. Ice Skates. L.L. Bean sells a line of “comfort” ice skates that are leather-free. They cost about $80 for child-sized skates and $100 for adult skates. You can find even cheaper ice skates online. Prices for adult skates start at $60 a pair. However, it’s not always clear which pairs are leather-free. If you’re in doubt, contact customer service to check. Roller Skates. In addition to ice skates, various online retailers sell both in-line and traditional roller skates. In-line skates typically start at $70 and roller skates for kids are as little as $30. Here, again, the descriptions don’t always make it clear which skates contain leather, so you may need to ask customer service. Baseball Gloves. Carpenter Trade Company makes custom baseball gloves from synthetic leather, but they’re super pricey – at least $500. A much cheaper option for kids and low-level players is synthetic gloves from Gopher, which start at just $24. Cycling Gloves. Galtani offers a pair of vegan, fingerless cycling gloves for $30 – about the same price as its leather gloves. You can also find leather-free gloves that cover the whole hand at Garneau for as little as $10. Motorcycle Gear. Believe it or not, there are plenty of vegetarian bikers out there – and plenty of companies offering leather-free jackets, gloves, and pants for them to wear. For instance, Motoliberty sells textile and mesh jackets starting at $180 and Kevlar-lined jeans for $120. These prices are about half what they charge for leather gear. Motonation sells some leather-free motorcycle boots starting at $200, though you must check to see which models contain leather. Olympia Gloves offers a selection of leather-free motorcycle gloves priced below $30 – much less than leather gloves. You can find a list of still more leather-free options on the website of vegan biker Beben Roth. Instrument Cases. Vegetarian musicians need leather-free cases to carry their instruments. Most music stores carry soft-sided cases made of padded fabric, also known as “gig bags.” These are usually cheaper than hard-shell cases – as low as $15 for a guitar case – but not as sturdy. For more protection, try online music stores like Musician’s Friend. This site has wooden and molded plastic cases for a variety of instruments. Guitar Straps. Another problem for vegetarian guitar players is finding a strap that doesn’t have leather ends. Canna Riff sells a leather-free guitar strap made from hemp for $35, and Couch Guitar Straps has a huge variety of vegan straps starting at $22. Drums. Hand drums, such as the djembe, are typically made with leather drum heads. However, the inexpensive Toca Freestyle Lightweight drum has a synthetic head. It sells for $52 to $100 at Musician’s Friend. Remo Drums, sold in music stores across the country, also have synthetic heads. Even if you no longer buy leather, you may still have a few leather shoes or bags in your closet. For some new vegetarians, these old leather goods pose an ethical dilemma. Wearing them doesn’t feel right, but neither does just throwing them away. There are ways to deal with this problem. You can give the old leather items away and replace them, or you can keep using them until they wear out. If people ask why you’re wearing leather if you don’t eat meat, just explain that you bought the product before you became a vegetarian. 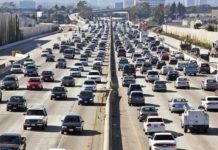 It can be tempting to throw the old leather in the trash, but that isn’t necessarily eco-friendly. It’s too late to save the animals that died for those leather shoes, and letting their hides go to waste just adds insult to injury. Plus, leather isn’t biodegradable, so it won’t break down in a landfill. If it makes you feel better, think about it this way: By giving away your old leather shoes, you’re keeping someone from spending money on new leather. Are you a vegetarian? What tips do you have for saving money while shopping?